Are you already a member of Cremation Society of Kansas & Missouri? $50 Coroner's Permit Fee is added for Johnson or Shawnee county. *A $3.00 per mile transportation fee will be added for each mile outside our 35 mile local service radius. 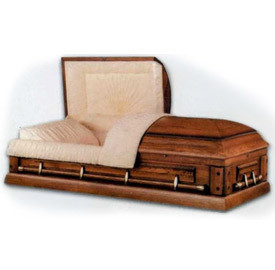 This plan includes the Norwood Appalachian Oak cremation casket. This plan includes a Cremation Container. Our staff will arrange a private family viewing, attend and handle all details. 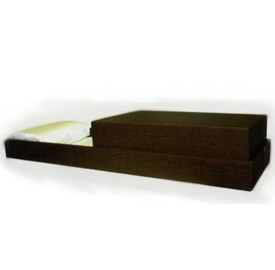 Includes basic service fee, transfer of remains from place of death, other preparation of the body, private family viewing with cremation casket ($100), personalized stationary package (value $89), cremation, and temporary urn. 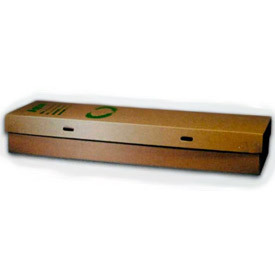 This plan includes the Starmark Cremation Casket. Our charges for cremation (without ceremony) include: transportation from place of death (within Kansas City metropolitan area), administrative and staff services, cremation container, cremation, filing of death certificate, notification to social security, assistance with obituary preparation, and basic urn. Is deceased located in Johnson or Shawnee county?